Studying at Stanford no longer requires maintaining a near-perfect GPA while captaining three sports teams, running the high school newspaper, volunteering with a child literacy program, mastering the cello, serving as student council president, finding a solution to world hunger, and $225,000. NovoEd launched today to make access to courses from prestigious educational institutions available to anyone, starting with Stanford. The company started out as Venture Lab, a project run by a Stanford professor and a PhD student to make online learning more social, experiential, and interactive. Many Stanford professors were interested in taking their courses online but said presenting material in that format did not allow for the degree of interactivity they desired. Using a combination of techniques in crowdsourcing, design and analysis of reputation systems, and algorithm design, NovoEd’s platform enables collaboration and peer learning. The classes are built around team-based exercises that require students to exchange ideas, communicate, and evaluate each others’ work. 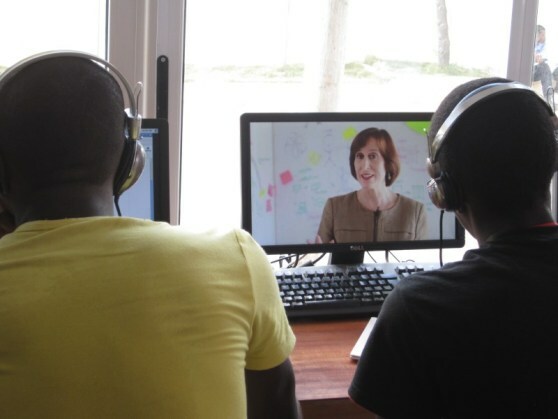 Online education portals like Coursera, Udacity, and Khan Academy have disrupted the world of education by making classes available to anyone with an Internet connection and the desire to learn. These Massive Online Open Courses (MOOCs) lower the barriers to entry and the costs for students that want to boost their resume, develop a new skill, or nurture a side interest. However, one of the disadvantages of online education is isolation — students are not learning in a classroom environment where they can come together to challenge each other, problem solve, and exchange ideas. Saberi said the ability to work with others, cultivate leadership skills, hone communication abilities, and negotiate one’s role in a team are just as important as the content itself. To achieve this goal, NovoEd has raised seed funding of an undisclosed amount from Costanoa Ventures, Foundation Capital, Kapor Capital, Learn Capital, Maveron, Ulu Ventures, and a number of angels. The startup has seven employees and is based in Menlo Park, Calif.